It all starts between the ears. It’s time to have the health and happiness you deserve. How you fuel your body and feed your brain can dramatically change how you look and feel. Imagine if 2 products could transform your health and get your body in balance. If you are tired of fads and diets, there is a simple solution that is producing unprecedented results. The science behind it won the Nobel prize (seriously!). 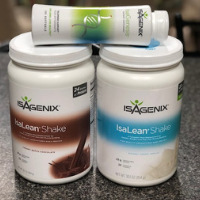 We start you with one (1) bottle of IsaGenesis™ and two (2) canisters of the IsaLean™ Shake, in your favorite flavor. 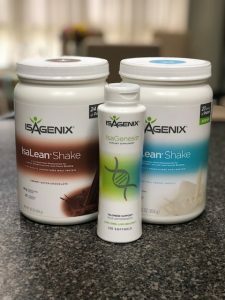 These products have been specifically formulated to give your body the nutrients it needs to create a leaner, healthier, more youthful and vibrant you. It is literally like aging in reverse. WATCH VIDEOS & LEARN MORE! Ready to lose weight? Build lean muscle? Create a new income stream? We start you on two Isagenix products that are game changers. It is so simple and effective. You can do everything from losing 10-15 pounds to building a new business in the next 30 days. Get 24×7 support for your healthy lifestyle from over 35K members! FREE fitness, nutrition, and mindset broadcasts M-F every week. 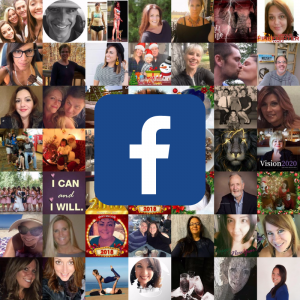 Join the Strong Confident Living Facebook Group. Build the mindset to do ANYTHING! You’ll get our trademark 6 week challenges, 21 day reset, mini mindset courses, workouts, and more! We include all the pieces you need for the Strong Confident Living lifestyle for only $10/month.